Danny Lyon’s 1971 photo book, Conversations With the Dead, is so affecting a work that, over four decades since the photographer completed this survey of Texan prisons, Lyon remains truly engaged with the subject. 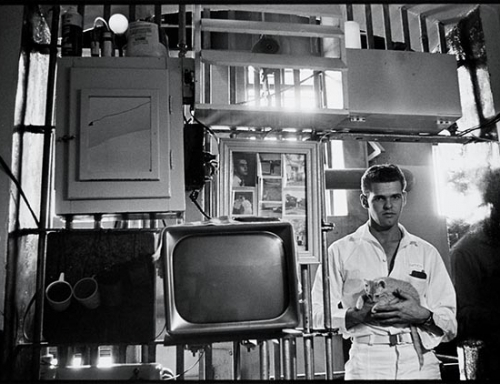 The photographer, who was born in Brooklyn and began his career as part of the civil-rights movement, shot this series in six Texas penitentiaries over the course of 14 months during 1967 and '68. Danny befriended quite a few of the inmates; one, Billy McCune, even contributed letters and drawings to Lyon’s book.